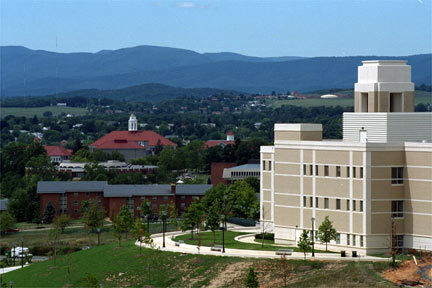 JMU has a beautiful campus and the people here are very friendly. You could go up to almost anyone on campus and ask for directions to somewhere and they would be happy to help out. Yes, there is a big party crowd here; however, I have never been to a party, as I am not a party person. I have never felt pressured to go to any parties, and I have found alot of other things to do that are things that I enjoy. There are two main Christian groups that are free to attend and the people are extremely welcoming. Each group has a worship segment once a week, and you have the option of being put into a small group Bible study of students of the same gender and grade as you, so you are able to grow closer each year you're at JMU. They also have alot of fun retreats that you can go on! Having been a part of one of these groups for the past 3 years, I can honestly say it has been one of the best experiences of my life and the girls in my Bible study group have become some of my closest friends. I was also in the marching band here. It is surprisingly alot less strict that I anticipated. They love to party and drink before and after games. However, I did make some good friends and aquaintences that I say hi to when I see around campus. As for the academics, I have actually struggled a bit with my classes. They're not as easy as you may think, but most people I know do quite well. Classes aren't something that you can skip regularly, but they are on the average side, except gen eds which sometimes are ridiculous and have alot of busy work. I have switched my major 3 times and have finally settled on one that I think I can actually do. The dorm life really isn't bad. I actually enjoyed living on campus for my first 2 years and made alot of friends just by living with them. It's not too bad not having air conditioning (which most dorms do not have), except for in August and around the end of April. Overall, I would recommend JMU because of the friendly people, good Christian groups, and the huge amount of clubs anyone can join.